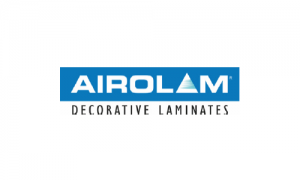 Business description from prospectus – Incorporated in 2007, Airo Lam is engaged in manufacturing of Hi Pressure decorative laminates. Its registered office and manufacturing unit is situated at Survey No. 355, Nananpur Road, N.H. No. 8, Village: Dalpur, Ta. Prantij, Himmatnagar, Sabarkantha, Gujarat- 383120. The company has distribution network and operates through more than 70 distributors and 4 stock points at Bangalore, Mumbai, Kolkata and Bhuvneshwar. The stock point at Bhuvneshwar has been shut down with effect from September 7, 2017 and as of now the Company has only 3 stock points. It has an established customer base in Gujarat, Madhya Pradesh, Rajasthan, Chhattisgarh, Haryana, Punjab, Uttar Pradesh, Maharashtra, Tamilnadu, Jammu & Kashmir, Himachal Pradesh, Chandigarh, Delhi, West Bengal, Odisha, Jharkhand, Kerala, Goa, Andhra Pradesh and (Telangana), Karnataka. Airo Lam IPO allotment status is now available on Link Intime’s website. Click on this link to get allotment status.